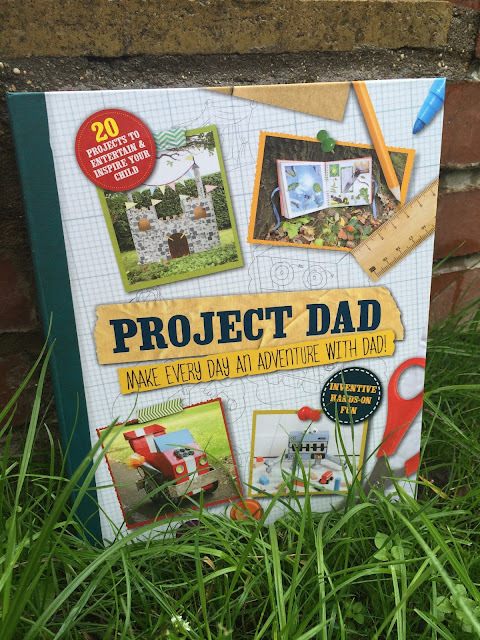 'Project Dad' is a hardback and ring-bound book, it's super-sturdy and manual-esque in style, making it appealing to Dads the world over! Instead of being a cover to cover read, this book is one you can dip in and out of, full to bursting with fun activities your children can do with their Dads (or their mums for that matter!). We all want to have fun with our children and make the most of our down time together, but sometimes it is hard to come up with new, exciting (and inexpensive) things to keep them occupied. 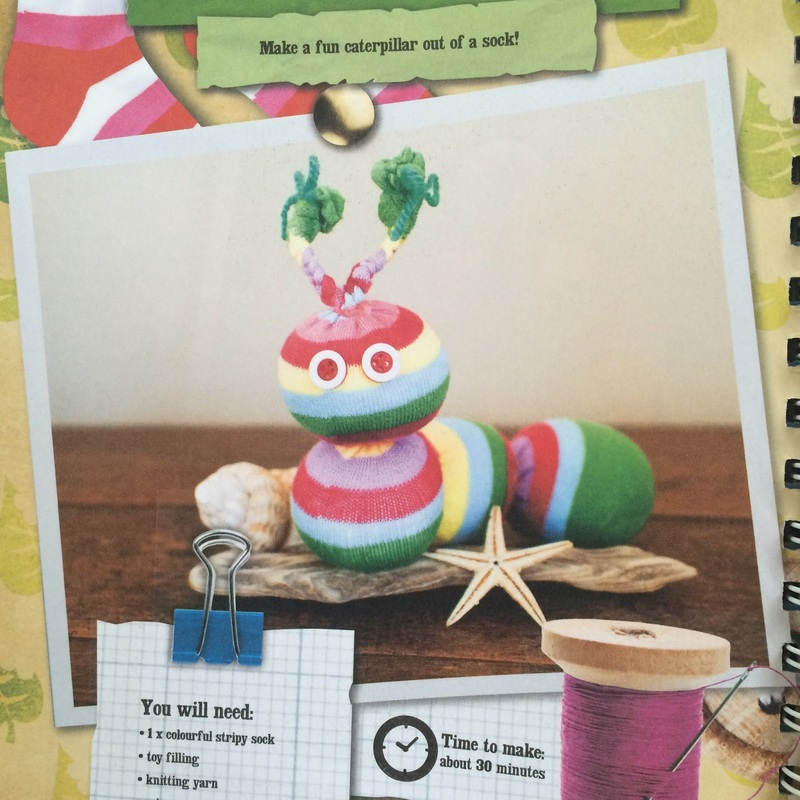 This book contains 20 exciting projects for weekends and rainy days. There are ideas for things to make, from simple toys, such as a kite or a glider, through to a shadow puppet theatre or a catapult game. There are also activities you can do with your child, such as building an outdoor shelter or having a garden camp out. Each project contains clear instructions and images that guide you through each step. It is a very well thought out and child-friendly book. I'd say it best suits children of around 4 and up. 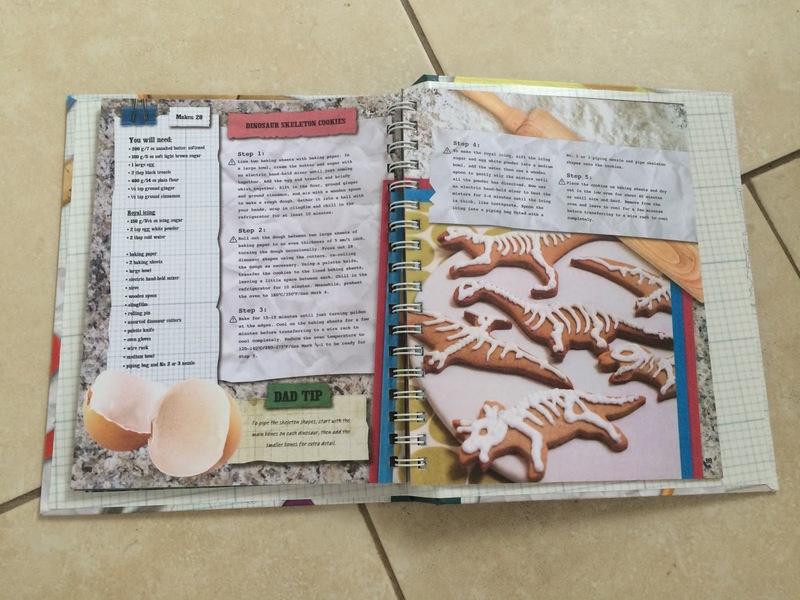 The book is divided into two sections 'The Great Outdoors' and 'Fun At Home', then within these categories is loads of ideas for you and your little ones to get stuck into. In 'The Great Outdoors' section there's chapters on how to build a bug hotel, how to have a garden camp out, how to make a kite and what to do at the beach - as well as lots of other fun ideas. In the 'Fun At Home' section there's chapters on how to make a shadow puppet theatre, how to make a pom pom puppy, how to build a monster trunk and so much more! Although full of great ideas, most of the activities were a little out of Bert's age range (he's only 22 months) - so instead I decided to try out the activity that Liam and I could do together, and Bert could enjoy afterwards (munch, crunch) - a little baking (of course!). As a family we are mightily fond of biscuits - especially homemade ones and, being the true mud & worms boy that Bert is, he is completely bonkers about dinosaurs (rawr!) - so when I saw a recipe for dinosaur skeleton biscuits, I just couldn't resist! 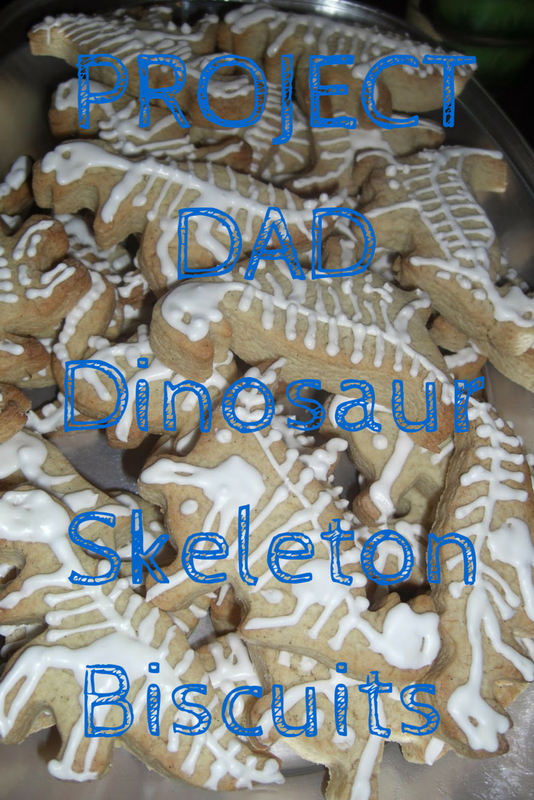 Project Dad: Dinosaur Skeleton Biscuits! Liam and I got our bake on together in the kitchen while Bert napped, and we had loads of fun creating some dino-skeleton biscuits. Now, they might now be particularly anatomically correct - but close enough, eh? I don't think Bert noticed! They were really fun to make, the instructions were clear and luckily I had all the ingredients in my pantry. They were super tasty! Bert roared every time he ate one - bless him! I'm absolutely sure we will be dipping in and out of this book for many years to come - the older Bert gets the more of the activities he'll be able to do so it'll become the perfect antidote to a boring rainy day! I can't wait until I can start getting him into crafting like his mummy - the first activity from the book that I want to do when he's ready is to make this super-cute caterpillar out of an old sock! A sock creature - a genius sewing project for little ones! 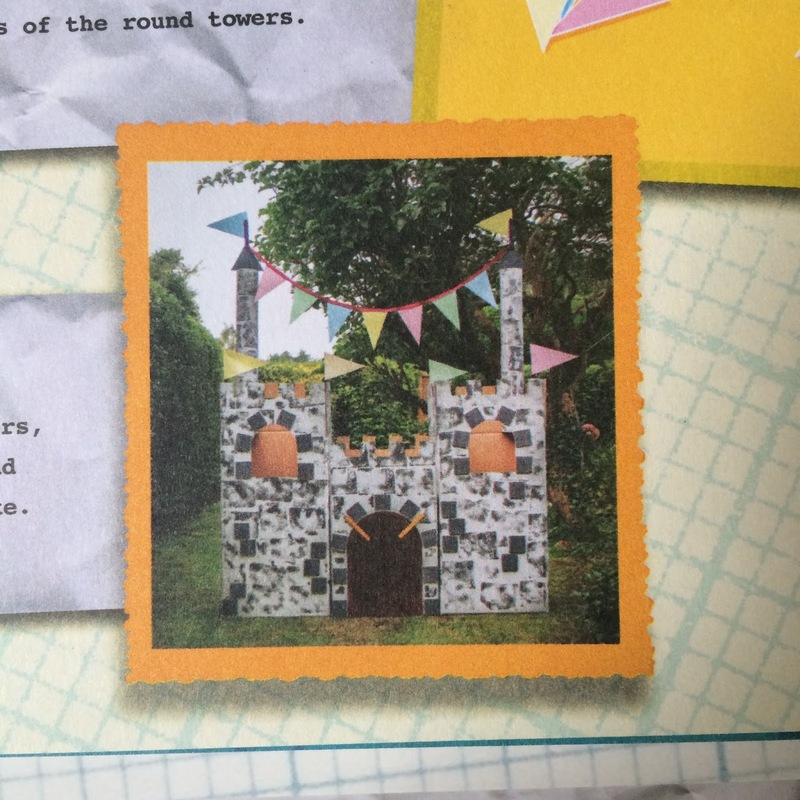 A cardboard box castle - so much fun to be had! This year we had a really marvellous Father's Day - we headed over to my Mother and Father-in-Laws' house for a big family BBQ. 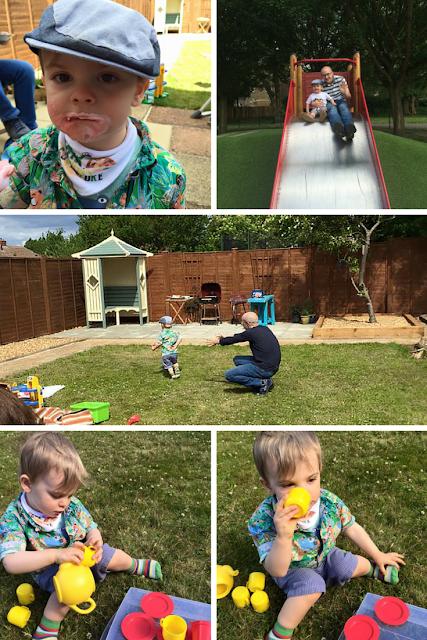 It was a gorgeous sunny day and we spent the whole day in the garden eating, drinking, chatting, laughing and playing! Good old fashioned quality family time - perfect. I hope you all had a marvellous Father's Day too - I can't believe it was 2.5 weeks ago! How the time flies!